The story is an old one, with many variations – I first heard it at a caregiver’s celebration – it was told by a social worker at Loyola, Susan Long. I’ve told her several times that I stole it from her and that I use it all of the time to wrap my talks, and let people know how important their one decision, or one action might be… I get to explain to people how I was one of Kari’s starfish. Susan is OK with that. I stole this, word for word, from a July 15 blog posting posted by my friends Joslyn & Nick over at the Donate Life Illinois blog, I am. Are you? Tim wrote the bulk of the post, and he also gave me permission. Tim is a donor Dad. I occasionally have the honor of speaking with him to various groups. He tells our audience about his beautiful daughter Samantha, and the gifts she gave. I tell them what it's like to receive a gift from someone like Kari or Sam. In November of 2003, our 17-year-old daughter, Samantha, was killed in an automobile accident on her way to school during a heavy rain storm. We knew that Sam wanted to be a donor because we had discussed the topic immediately after she received her driver’s license. Due to the severity of the accident, she was not able to donate her major organs, but was able to donate many of her tissues. Her heart valves saved one life and her other tissues have improved many lives (23 so far). As anyone who has lost a child knows, your life will change in many significant ways. You also need to find ways to deal with the immense feeling of loss. Volunteering for Gift of Hope and Donate Life Illinois has allowed me the opportunity to keep Samantha’s memory alive and “give back” at the same time. I have been speaking to groups about organ & tissue donation and sharing Sam’s story of donation for over four years now. In doing so, I discuss both living and deceased donation. I explain the impact we can all have by donating blood, bone marrow, a kidney, or a piece of our liver while we are still alive. After having this discussion many times, I started asking myself why I wasn’t doing more and decided to pursue being a living kidney donor. I contacted a Transplant Coordinator at Loyola in Maywood to begin my donation journey. After an initial screening to make sure I was an acceptable kidney donor candidate, I began going through a process that would include every medical test known to man (at least it seemed that way) and would take months to complete. Finally, I passed all the tests and was ready; I just needed a matching recipient. Unknown to me, there were two other altruistic (or “good Samaritan”) donors going through the process at the same time as me and the kidney transplant surgeons at Loyola were developing a proposal for a national kidney donation chain called “Pay It Forward”. The program was announced at the end of March via a press conference held at Loyola. Basically, a chain consists of an altruistic donor and pairs of recipients and non-matching donors (usually friends or relatives of the potential recipient). The difference between Loyola’s program and the typical chain is that the National Kidney Registry is coordinating the matching process with donors and recipients across the country instead of just looking within a single transplant center. My donation surgery occurred at 2:00 AM on Tuesday, May 11th. This time was picked to allow the chain to complete three links on the same day. My left kidney went to a woman in Harrisburg, PA. Her willing donor’s kidney went to a recipient in California. Their willing donor’s kidney went to a recipient somewhere else in Pennsylvania. Transporting the kidneys is a lot more efficient than transporting the patients allowing three successful transplants in a single day spanning the country twice. 1. Don’t lift anything weighing more than 15 pounds for six weeks. I was taking 3-mile walks after 2 weeks, 20-mile bicycle rides after 4 weeks, and back to riding my Harley after 5 weeks. It is a very rewarding feeling knowing that I’ve helped someone in need and gotten them off of kidney dialysis. I also feel like I’m following in Samantha’s footsteps and that she would be proud of me. If you’re in excellent health and would like to share that feeling, contact a transplant center near you. If you would like more information about the Pay It Forward program at Loyola, visit this Loyola web site: “Pay It Forward”. After we chatted for a while, they invited me and Laura to visit their hangar to see their operation before we caught our flight back to Chicago. Seriously – for a chance to see a bunch of helicopters and planes up close on a personal guided tour – who wouldn’t jump at that?!?! p.s. Yes – the planes and helicopters were awesome!!! To educate people in need of a kidney transplant about living donation and to prepare them to effectively communicate their need to family members and friends. The Living Kidney Donors Network encourages physicians to give earlier notice to patients to afford them more time to pursue living donation. This could increase the number of preemptive transplants, transplant performed before someone needs to be on dialysis. Develop public awareness campaigns to promote a better understanding about living kidney donation.... The Gift of Love! The fear of asking someone to donate a kidney is the greatest barrier for pursuing living donation. In truth, patients rarely need to ask directly. Most living donors say they volunteered to donate once they heard about their family member or friend’s need. When surveyed after the transplant, living donors are quick to respond that they would donate again, without hesitation. The Living Kidney Donors Network (LKDN) Webinar has two goals, to educate you about living donation and to teach you the skills to effectively communicate your need to family members and friends. The information discussed is divided into two main segments; the first educates you about living donation. The second discusses effective communication techniques you can use to let others know about your situation. The LKDN webinars are taught by kidney transplant recipients and donors. Peer assisted learning has proven to be a very effective model. The more knowledgeable you have about living donation, the more confidence you’ll have in talking about it. Over the past few years, medical advances have totally changed the transplant process for the donor and the recipient. You will learn about these changes which will give you a new and more positive outlook on the whole transplant process. Having the knowledge about living kidney transplants is important, combining that with good communication skills and information on how to let more people know about your need for a transplant will increase the likelihood of success. Anyone who needs, or will need a kidney transplant will benefit from the seminar. If there is someone that wants to help you spread the word about your need, we call them Advocates, ask them to sign up for the webinar or have them attend with you. The webinar is FREE. You can attend the webinar by using any PC (Windows® 2000, XP Home, XP Pro, 2003 Server, Vista) or Mac (Mac OS® X 10.4 (Tiger®) or newer) that has broadband internet access. If you don’t have access, your local library may be able to help. I’ve known Harvey for a while now. I’ve seen his passion for helping others help themselves when they are in need of a kidney. He received a lifesaving kidney transplant in 2006 and his kidney was donated by his wife. Since then, he has schooled himself in touching on family and friends to let them know of your need. Through his Living Kidney Donor Network, he is reaching out to others to share what he has learned. As of this week, there are over 83,000 people listed and waiting for kidneys in the United States. Many of them will wait on the list for a deceased donor kidney for over 5 years. 4,500 will die every year waiting for a kidney. I’m confident that many lives will be saved because of Harvey’s efforts. If you’re listed and waiting for a kidney, or headed down that path – I’m sure these webinars would be worth your while. Good morning!! I came across this story on CNN yesterday and wanted to share it with you!! It is a very touching story about a kidney pairing program that successfully transplanted 13 kidneys, 11 of whom were minorities. This is great news and I'm excited to share the story with you all!! "According the U.S. Department of Health and Human Services' Office of Minority Health, the rate of organ donation in minority communities does not keep pace with the number needing transplants. Many times, it's because of fear of the medical community or mistrust of the system. Health experts say that's unfortunate. A report by HHS noted, "although minorities donate in proportion to their share of the population, their need for transplants is much greater." African Americans, the report said, make up about 13 percent of the population and about 12 percent of donors, but they represent 23 percent of the patients on the kidney waiting list. Citing the critical need, Melancon [Patterson's Doctor] is urging minorities to join the exchange programs. "It's very important for minorities to receive living transplants, because their outcome with deceased donor transplants are not as good as everyone else," Melancon said. Additionally, years of dialysis can lead to a build-up of antibodies, which can cause rejection of the new organ. That's especially true for minorities, because they tend to stay on dialysis much longer. Patients who have this build-up of antibodies receive a blood cleansing procedure called plasmapheresis to trick their bodies into accepting the kidney without rejection." Both the article and video says, it is extremely important that minorities become organ donors and get involved in the organ pairing programs. 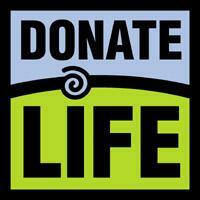 According to UNOS, as of December 11, 2009 there were 113,801 individuals waiting for a life saving transplant. Of those individuals only 52,296 were caucasian registrants. The remaining 61,505 primarily consists of African American (33,075) and Hispanic (19,932) registrants. So lets start spreading the news about living donation and how important it is for everyone, especially minorities, to consider! !